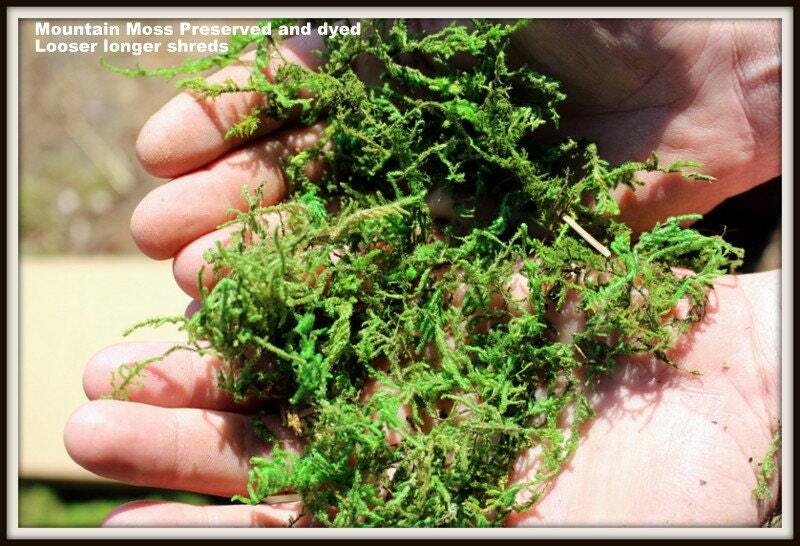 Here is beautiful green preserved moss (NOT ALIVE) that has been dried & dyed to keep the beautiful color. I love to use this as a substrate layer in my terrariums. I also use this for many craft projects that you want to glue a bit of moss onto them. This box will cover an area about 160 square feet depending on how thick an application used. You can use this to cover baskets,balls,letters and more. Use it as a filler for baskets,glass vases and more. Wedding tables or woodland party tables can also use this...apply to a backing and make your own place mats or runners.